Felting is the oldest form of textile art, predating even the most basic weaving techniques. Felting artists use proven techniques and natural fibres with a variety of modern tools to craft amazing creations. 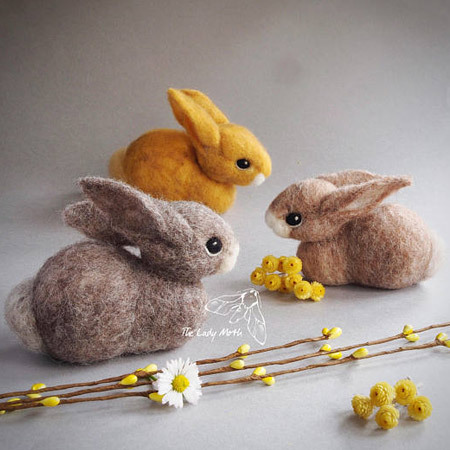 We've included a selection of adorable accessories on this page, from beautiful Easter bunnies to beautiful felted mobiles. 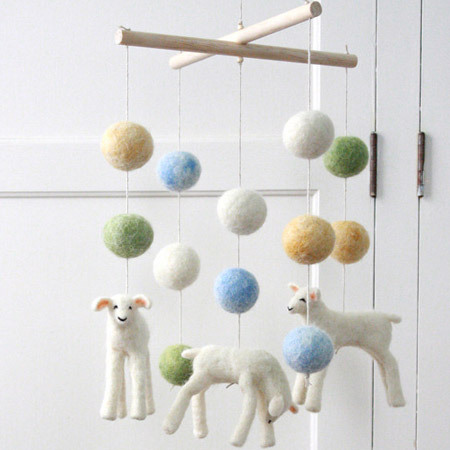 Felting itself is the craft of taking wool and transforming it using felting needles. 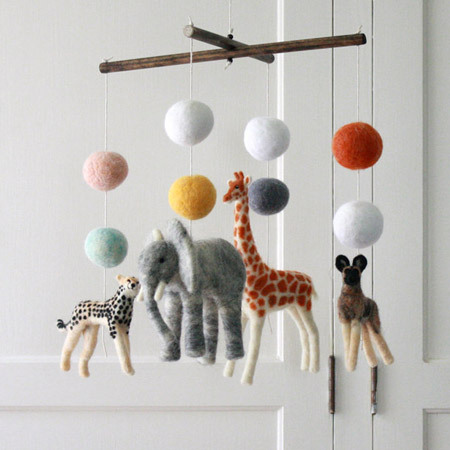 To achieve this, felting needles have barbs on the shaft that allow them to stab and pull the wool to create the felt required for felting projects like those shown here. There are two basic felting techniques that can be used to craft felt accessories, and I have included videos below on needle felting and wet felting. 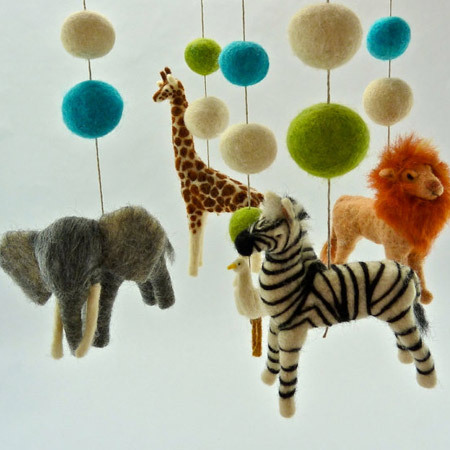 Wool is the fibre used for felting and pure wool is the best for firmly felt pieces or intricate designs like some of those shown here that make up the animal mobiles. Simply by stabbing the wool fibres with a felting needle, the wool pulls tightly into itself and locks together to create shapes. The original method of felting involved beating wool fibres with sticks while wet to compress the fibres together. More and more layers were built up until a dense mat of fibres was achieved. After squeezing dry, the fibre mat was crafted into clothing, rugs and even housing (traditional Yurts in Central Asian communities). If you would like to take up the art of felting, for yourself or perhaps to make a bit of money on the side, use Google to search for felting supplies that you can buy online or at local craft and hobby stores.